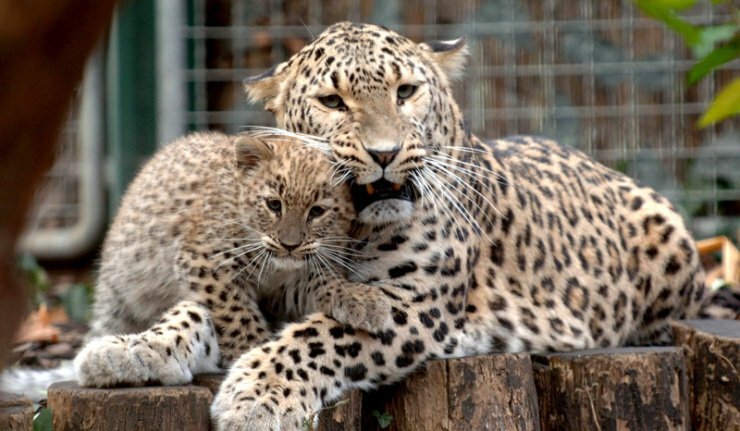 The largest of the leopard subspecies, the Persian leopard, also known as the Caucasian leopard or Central Asian leopard, has had its numbers in constant decline during most of the 20th century. Conservation efforts are, however, now underway to curb the downfall and restore their population. Head-body length: They measure around 91-191 cm. Weight: Males weigh around 37-90 kg (81.5-198 lbs), while females are 28-60 kg (62-132 lbs). Pelage: Black rosettes are present all over their stocky body except the underbelly, inside of the limbs while the head and face are covered in black dots. Background color behind the rosettes and spots varies from pale yellow to deep gold. 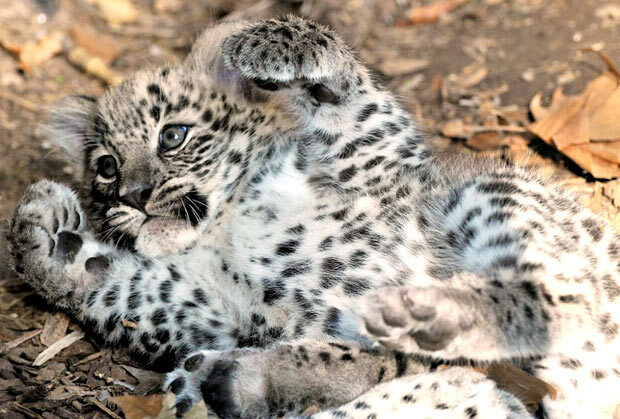 This big cat lives in distant mountainous regions, from dry and arid areas to dense, deciduous forest, and snowy mountain ranges up to altitudes of 3,200 meters. Can be found mostly in Iran, followed by countries like Afghanistan, Turkmenistan, Azerbaijan, Armenia, the Russian North Caucasus, Georgia, and Turkey, with a small population left in Pakistan. Being obligate carnivores, they eat ungulates like roe deer, goitered gazelle, West Caucasian tur, mouflon, wild boar, and onager. However, they can adapt to changes in their diet, depending on food availability. 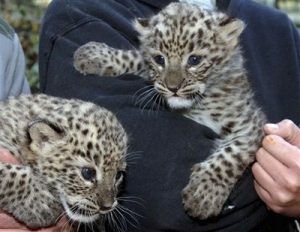 They spend a solitary life, except during the mating season and when a female is raising her cubs. Individuals have well-pronounced territories marked by ground scraping, tree scratching, and urine spraying. 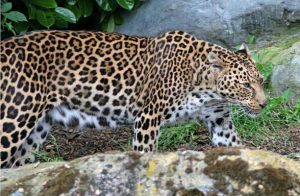 The top predator across its habitat, the Persian leopard is believed to be less nocturnal than its cousins in India and Africa, places where they have to share hunting grounds with tigers and lions respectively. 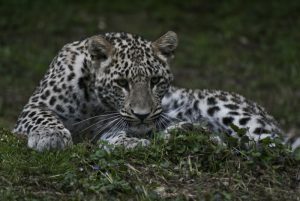 Being an ambush killer, the leopard lies prone on the ground, creeping up within a few feet of their potential prey, before making the final charge. Mating can take place year round, but conception has been observed to peak during the winter season. The males may stay with their partner for a few days after mating. A litter of 2-4 newborns is born after a gestation period of 90 to 105 days. The young leopards become able to defend themselves at one year of age, separating from their mothers at eighteen months. In the wild, their lifespan ranges from 10 to 15 years, but have been known to live for almost 20 years in captivity. These leopards roar and growl threateningly, a trait that they share with tigers, lions and jaguars. It is because a part of their voice box, called the epihyal bone, is actually replaced with a ligament, enabling them to stretch it to have a bigger sound passage, resulting in a wider pitch range. The retractable claws are crooked in shape to help them hold on to their prey during hunting as well as to let them climb up trees in fluid motion. The long tail ensures that they never lose balance, whether while sprinting after a potential prey, or during climbing up a tree. The coat of the Persian leopard helps in camouflage, allowing them to blend in to near invisibility, helping them ambush their preys. They can reach speeds of up to 36 mph while hunting. 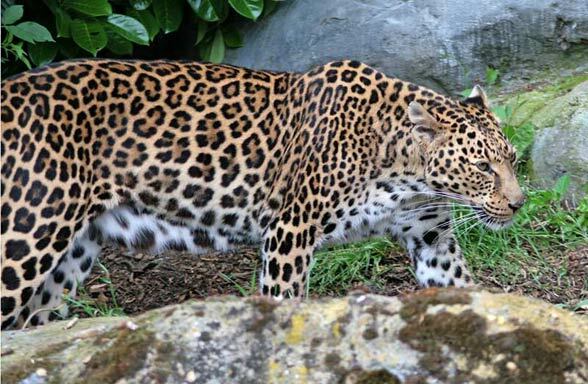 The Persian leopard, being the apex predator across its habitat, does not have any natural predators in the wild. The species is listed under the ‘Endangered’ category of the IUCN Red List. 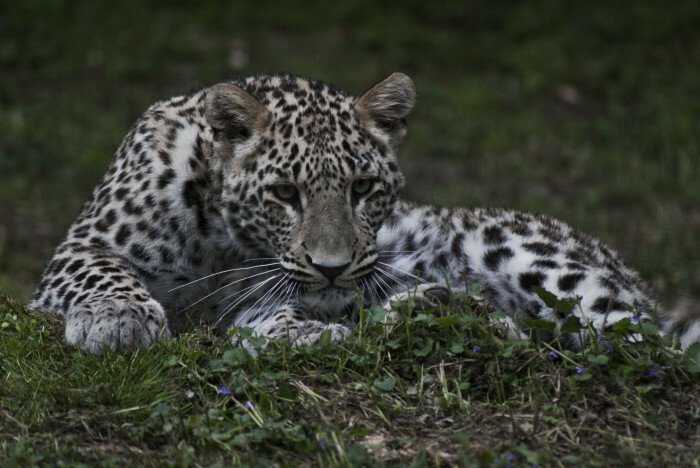 Spots of a leopard are called rosettes as they resemble the appearance of a rose, with small spots in the middle. 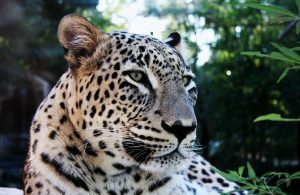 The word leopard comes as a result of the combination of the Greek word ‘leon’, meaning lion and ‘pardus’, which means panther.